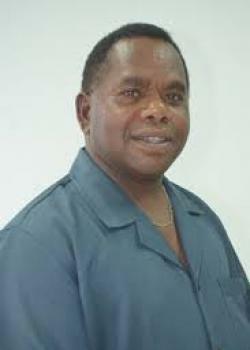 Solomon Islands Government has sacked its Home Affairs minister Commins Mewa, and abruptly replaced him with the MP for East Central Guadalcanal Constituency Ishmael Avui. Avui, who until the weekend was Minister for National Unity, Reconciliation and Peace (MNURP), was sworn in as the new Home Affairs minister Monday. Government offered no reason for Mewa’s sacking, but a spokesperson from the Office of the Prime Minister confirmed the Temotu Nende MP’s removal. “Yes, he was been removed and is now just a back bencher,” the spokesman said, referring to Mewa. Avui’s reshuffling has left a vacancy in the Ministry of National Unity, Reconciliation and Peace. The PMO spokesperson hinted that the recently elected Gizo-Kolombangara MP Lanelle Tanangada may be given the portfolio. “Yes, very likely Tanangada will be given that role,” the spokesperson added. Meanwhile, Avui has acknowledged the challenging tasked ahead. He said one of his immediate priorities is to fast track work on preparations towards the National General Elections next year. A statement issued by the government said Avui will remain as supervising minister for MNURP until the Government appoints a replacement soon.